Connecticut’s largest BBQ festival heats up the Winter Parking Lot with food, fun and fireworks. 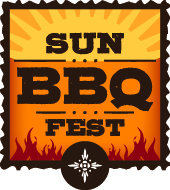 Uncasville, CT (April 28, 2014) – Sizzle into summer at Sun BBQFest and fill your plate with some of the nation’s best BBQ. Soak up the sun, fun and BBQ sauce at the Winter Parking Lot June 20th-22nd. Live entertainment and delicious food provide the perfect summer setting for a chillin’ and grillin’ good time. WHAT: Learn some BBQ tips from the top grillers themselves as Lee Ann Whippen, Mike Davis and Ray Lampe stop by The Shops at Mohegan Sun during the Sun BBQ Fest. These three Top BBQ chefs will meet fans and sign autographs in three different Signings & Sightings events.